For one-percenters like the Times columnist, city life has never been better. It is the best of times; it is the best of times. 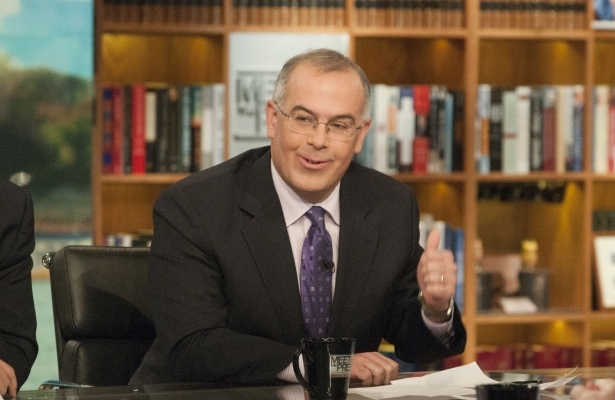 This description is accurate if you’re David Brooks (or me, for that matter). It may be true for as many as half of the city’s 8.4 million inhabitants. But what Brooks appears not to know is that in recent decades, New York has become two cities: one for those who are doing just fine, and another for those who aren’t. I’m guessing, for instance, that Brooks’s happy talk would be a rather hard sell to the more than one in five New Yorkers living below the poverty threshold. Ditto the nearly one in two (and rising) who get by on just 150 percent of that paltry figure. It would be a harder sell still to the 400,000 or so people living in the city’s dilapidated housing projects, to say nothing of the nearly 250,000 families on the housing authority’s waiting list. And my guess is that it would be the hardest sell of all to the 53,000 (and rising) people stuck in the city’s homeless shelters. Reading Brooks puts one in mind of Henry Perowne, the protagonist of Ian McEwan’s 2005 novel Saturday, who lived in a world that offered “whole emporia dedicated to cheeses, ribbons, Shaker furniture,” “lozenges of scented soaps,” “supermarket cornucopias…warm clothes that weigh nothing, extended lifespans, wondrous machines.” It was from this vantage point that Perowne, like Brooks at the time, decided that invading Iraq was a pretty good idea. Brooks isn’t selling any new invasions at the moment. He’s just telling naysayers like yours truly to take a chill pill, to relax and smell the latte. True, he finds it rather unseemly that rich folk buy their children fancy cars and send them on ski vacations: “Wealthy people have an obligation to try to follow a code of seemliness,” he advises, adding: “Strike a blow for social cohesion.” That such a blow might be better delivered in the form of, say, a decent minimum wage or paid sick leave doesn’t enter into Brooks’s calculations. Brooks’s version of conservatism is a great deal more sophisticated than that of House Speaker John Boehner, who thinks unemployed people “just sit around” for the fun of it. But Brooks appears no less sanguine about their fate. Not long ago, he explained that “what we call ‘inequality’” is merely the product of “a primitive zero-sum mentality.” The fact that pretty much all of the growth experienced by the US economy in this century has gone to our wealthiest 3 percent does not impress Brooks. That the median income of American working-age households has actually fallen by 12 percent is also of little or no significance. True, corporate profits are higher than ever and are rising five times faster than workers’ wages, but this must be mere coincidence. To Brooks, the problem is in the showing, not in the having. And it goes without saying (since Brooks doesn’t mention this either) that a political system that equates money with speech and corporations with people is not at fault; it’s pure coincidence that the taxes paid by the wealthiest Americans are only a fraction of what they were when this class war against the poor and middle class began nearly forty years ago. As Thomas Piketty notes, “Among the members of these upper income groups are US academic economists, many of whom believe that the economy of the United States is working fairly well and, in particular, that it rewards talent and merit accurately and precisely.” This rings even truer for political pundits, especially conservative political pundits. It is hardly a stretch to suggest that the unwillingness of the punditocracy to face up to these facts, as well as its tendency to sugarcoat the nation’s predicament, bears considerable responsibility for the fact that most Americans have no idea just how unequal our society has become. To take but one example: when questioned, Americans estimated the typical difference in salary between the CEOs of top corporations and their workers as 30 to 1. The true figure is 354 to 1. The general public is more open than the wealthy to a variety of policies designed to reduce inequality and strengthen economic opportunity, including: raising the minimum wage, increasing the Earned Income Tax Credit, providing generous unemployment benefits and directly creating jobs. For example…only 40 percent of the wealthy think the minimum wage should be high enough to prevent full-time workers from being in poverty, while 78 percent of the general public holds this view. Affluent voters are also less supportive of labor unions [as well as] laws that make it easier for workers to join unions—even as research shows that unions are crucial to reducing inequality. Governors elected with strong support from affluent voters and business groups have prioritized tax cuts over funding for primary and secondary public education.